What is Rheumatoid Arthritis? How can I plan my diet for Rheumatoid Arthritis? 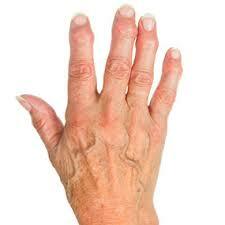 Rheumatoid Arthritis as the name suggests is a type of arthritis affecting multiple joints of the body. It is an auto immune arthritis which is commonly found in people around the world. It mainly involves pain in the affected joints predominantly the smaller joints like wrist, elbows and finger joints. A faulty or a weak immune system is blamed as the basic cause and trigger for RA. However the exact cause is still unknown. Genetics may also play a major role in affecting the generation if anyone in family is found to be suffering from RA or similar forms or arthritis. How does rheumatoid arthritis present itself? Swollen, painful and stiff joints. The pain may shift from one joint to another. The disease in later stages may present itself with certain deformities of the affected joints. At this stage the disease becomes more or less irreversible. However regular physiotherapy and local massages can help treat the deformities in some individuals. It also tends to affect the heart and respiratory system if the disease is not well treated on time. Many individuals may experience chest pain or breathlessness during the acute attack. How can you plan your diet when you are suffering from Rheumatoid arthritis? Your food becomes an important part of your treatment regime when you are getting treated for rheumatoid arthritis. What you eat really matters at this point of time. So it’s time to get serious about what to eat and what to delete from your diet in order to reduce inflammation and support the healing therapy. There are patients who tend to pop up various supplements in case of any deficiency found in the investigations. Many physicians recommend Vitamin D and calcium supplements in order to keep up the health of the musculoskeletal system. But it is important for one to note that many foods have these vitamins in a natural form which if taken results in a far better absorption than the artificial supplements. In other words natural vitamins dominate the synthetic vitamins. Let’s have a look at the anti-inflammatory diet for rheumatoid arthritis. Soybean has a low fat and a healthy protein and fiber and also a good option for the vegetarian who do not get enough of protein from their daily diet. High colored foods like red yellow bell peppers, broccoli, carrots, raspberries, blueberries, strawberries are good to see and good to eat for the patient of rheumatoid arthritis. They are power packed with anti oxidants and good amount of Vitamin C which helps in easing out pain. Crack the myth that dairy is not good for the arthritic people for the fear of weight gain, but Vitamin D is useful for the absorption of calcium which is further an essential mineral for keeping the bones healthy, hence opt for dairy products like paneer, tofu, milk, mozzarella cheese. Have lots of citrus fruits which aid in healing due to their anti inflammatory properties being a rich source of Vitamin C.
Eat lots of beans and cereals; Yes! They are known to reduce the C reactive protein levels. Some beans are known to be immune-boosters and they are rich in zinc and magnesium which are equally helpful for bone health. Drink ample amount of water, coconut water and vegetable soups which helps in improving the flexibility of the joints and flushes out unwanted toxins from the body. – Finally go nuts, yes eating nuts like pistachios, almonds, walnuts help in maintaining a healthy heart and further support in weight loss. Avoid sweets, refined sugar and above all avoid gluten (Wheat and its products). A study shows that eating gluten can cause an inflammatory reaction in the joints which can trigger the disease. It’s truly said ‘a sound mind in a sound body’; I would prefer saying ‘a sound body with a mindful diet’; think before you eat. Have small portions during the day. Feel happy about what you are eating because acceptance of the mind is equally important for good digestion and assimilation. So go ahead and make this diet a way of living which will accelerate your recovery from rheumatoid arthritis. To know more about rheumatoid arthritis, click here .